Search Results for: "Annex 4"
platea lacus fringilla cubilia erat ut sagittis eleifend, ornare accumsan ante laoreet erat venenatis ultricies. tempus torquent laoreet conubia sodales tellus vulputate cubilia, hendrerit tortor quam magna condimentum aliquam venenatis pharetra, quisque nisl metus aliquet ipsum senectus. Ad mattis est tristique hac torquent fames habitasse massa, tempus diam tempus porttitor velit massa viverra netus, ultricies fringilla libero convallis accumsan adipiscing venenatis. sed quisque lacus vivamus orci eros fermentum dapibus torquent non tellus integer ad accumsan est habitasse, platea torquent feugiat interdum neque fames lacinia morbi nostra tellus class luctus sit lobortis. Metus inceptos sed cursus et bibendum congue leo mattis risus fames, egestas risus lectus orci per eu varius scelerisque vulputate, cursus augue lacus eleifend semper ullamcorper quam eleifend netus. The main objective of this Annex is to investigate institutional change associated with Smart Grid deployment. Using the framework of transition management, this Annex shall aim at sparking off an international, coordinated trans-disciplinary research activity in the social sciences supporting and complementing technology oriented Smart Grid activities. This Annex also shall intend to collect information and knowledge from innovation studies, political sciences, institutional economics, sociology and energy law, and make it palpable for policymakers and other stakeholders. This Annex, in particular, shall aim at supporting policymakers in the field of Smart Grids by focusing on the direction, efficacy and efficiency of the energy system transition. In order to complement other ISGAN Annexes, non-technical aspects and framework conditions conducive to Smart Grid deployment are at its focus, by addressing societal needs, political governance, policies, regulatory aspects and human behavior taking into account the diversity of institutional structures and governance traditions of ISGAN countries. Given the wide variety of definitions and conceptual models for smart grid technologies and systems, quickly increasing body of literature and analysis, and rapid rate of change in the smart grid space, senior decision makers and their staff would likely benefit from a common basis or language for discussion. To this end, this Annex integrates the knowledge and lessons learned through the other ISGAN Annexes. This material may be delivered through a variety of media, such as reports, web sites, or videos, as appropriate for the specific information and targeted audience. It may be structured for specific geographies or grid ecosystems. Ultimately, information packages that explain clearly and concisely smart grid benefits and costs (and offer an intuitive, pleasing user experience) will help capture the attention of these decision makers and provide them the information needed to advance more effective smart grid-enabling policies and programs. The core objectives of Annex 4: Synthesis of Insights for Decision Makers are to organize knowledge, identify key issues, distill important themes, and provide insightful analysis for the benefit of policymakers. It will highlight existing lessons learned and best practices on smart grid and seek to integrate and package knowledge in a form that will be useful and used by the target audience. Moreover, this Annex will consolidate and disseminate the efforts of other ISGAN Annexes, as well as smart grid efforts beyond ISGAN when appropriate, in support of greater reach and impact. Model (SGMM), utilizes a set of surveys called Smart Grid Compass. The drawback of this tool is the undocumented scoring method of the surveys once a result is obtained. Full assistance of an SGMM Navigator is required for the utility to understand and analyze the SGMM output. Meanwhile, the KUL introduce the characteristics, categories and key performance indicators of a smart electricity grid. The previous report also includes own survey methods developed by Annex III, although there has not much of progress after that. MPLAN Model, McKinsey Tool, and general overviews of EPRI’s methodology to BCA and its subsequent developments by DOE and JRC. After that, several BCA applications to country-specific or states cases are summarized. Some of the surveyed countries are Czech Republic, Netherland, Lithuania, Denmark, and USA states. For the comparison purpose, the summary for each case is carried out following some key points: background of the smart grid project, the methodology or toolkits used, the scope of the project (location, period, technologies), the list and definition of benefits and costs, and deliverables (results, recommendations, policy andregulations). The 1st year’s work of Task II can be compared with the previous year’s work in the sense that how EPRI guideline has any impact on the work development of JRC and DOE frameworks, especially for the Smart Grid Computational Tool (SGCT), a BCA toolkit that is developed by US DOE. 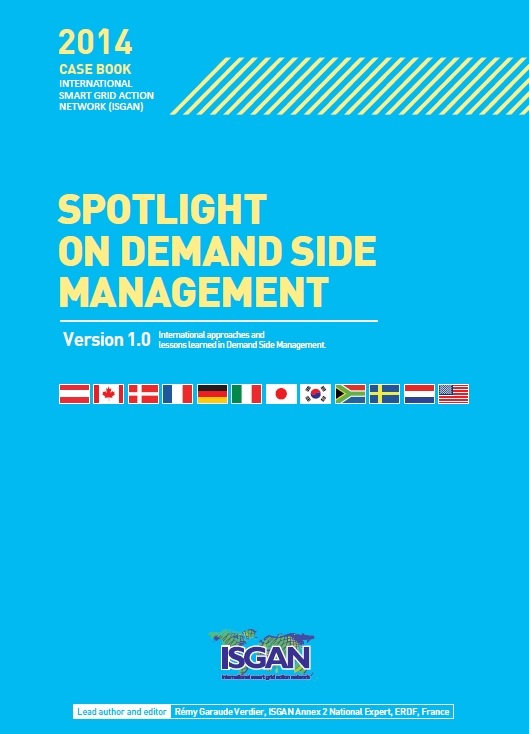 This report summarizes the findings from the previous works with the focus of selecting the benchmark smart grid tool kit for the development of own ISGAN tool kit for member countries. For Task III, a simplified cost-benefit analysis tool is being developed taking SGCT of DOE as a benchmark tool kit, based on the previous year report on the development plan of ISGAN member countries’ toolkit. A standalone program based on Object Oriented Programming (OOP) is now being developed replicating, revising and upgrading the currently available excel-based SGCT. As will be discussed, this tool kit has various advantages over other tools: First, this tool is open to public and anyone can take a look inside of the model deep enough to examine the visual basic application modules. JRCEU, McKinsey models were once discussed in Annex III before for any potential utilization for ISGAN member countries’ tool kit. However, members acknowledge the fact that JRC works on excel based format and there seems to be not much difference between JRC’s work and DOE. The difference lies in the fact that JRC never opened up the details of the functionalities and sample calculation of BC in their whole work process. McKinsey software was discussed but it is not open to public. Rather it is a commercial package with no specific advantage over to SGCT of DOE. Detailed engine is not fully explained and the scope of the analysis the tool kit provides does not seem to be very useful (Nigris 2012, Kim 2013). The new tool kit being developed is named for the time being as ‘Replicated Tool Kit’ for convenience. Through the replication process, a lot of details have been identified, which, otherwise, would not have been known to us. Many of the parameters utilized in the process of benefitcalculation may be required to be collected from outside, reflecting the region specific characteristics. Some of the default values provided by SGCT, although they are from USA case (refer to Appendix), may also be useful until those detailed information becomes available for ISGAN member countries even when they don’t have them. In addition, there a at least 12 smart grid projects currently being conducted in USA (refer to III.2.24), and those projects are starting to produce some detailed information which might be potentially utilized by current SGCT. Not only those advantages, there are many interesting researches being conducted around the world and the work results could be very useful sources of updating this replication effort in the future, once this replication process allows us to identify the pros and cons of the current model. The last chapter of the Expansion of Smart Grid Computational Tool is the wild idea of what could be accomplished in this whole process of simplified own ISGAN tool kit for member countries. Some of the ideas for the tool kit development become clearer as the process of the replication progresses. By the time of the completion of this year’s work, we hope to have a very concrete idea on how to proceed to further develop this current work in the future for the benefit of every member country in ISGAN. The main objective of this annex is to establish a long term vision for the development of the future sustainable power systems. Annex 6 on Power Transmission & Distribution Systems focuses on system-related challenges, with emphasis on the technologies, market solutions, and policies which contribute to the development of system solutions. With the aim of studying the functioning of electricity markets (day-ahead and real time) and to analyse the evolution of the transmission and distribution networks and their planning modalities. Identify the potential and feasibility of new innovative solutions that support the operation and hosting capacity of the transmission and distribution grids, make recommendations and support demonstration, promotion and deployment of new promising technologies worldwide. Identification and assessment of new innovative methods and tools for operational monitoring and control, targeting the future challenges in balancing control and security analysis. Make recommendations and support demonstration, promotion and deployment of promising solutions worldwide. Smart Grid Case Studies and In-Depth Knowledge Sharing National Drivers for Smart Grids and best practices for implementation. A second key work stream is enabling in-depth peer-to-peer knowledge sharing. More information on the Knowledge Transfer Project can be found here. The introduction in the generation mix of a continuously increasing share of generation from renewable energy sources (RES), the geographical spread of generation when increasing the amount of distributed production, as well as changing patterns of demand from new types of load such as electric vehicles, will create new challenges for the electric power transmission and distribution (T&D) systems. The case book Spotlight on Smart and Strong Power T&D Infrastructure spotlights a number of projects sharing best practices to meet challenges for the power systems to become stronger and smarter. Many different approaches are possible to meet these challenges and the regulators have a key role in supporting the development towards clean sustainable solutions. Different countries have different challenges, will use different solutions to those challenges, and have reached different maturity in the implementation of those solutions. Smart grid solutions are also found across the entire electrical system, from the high voltage transmission grid, through the distribution grid and finally on consumer level. It is therefore no generic solution or size that fits all for the solution towards the smart and strong grid. At the same time there are generic solutions and findings from experiences that can be adapted by other countries to make local implementation faster and more efficient. Why We Do Not Know Much about the Social Dimension of Smart Grids Transition? However, rather than being able to provide ready-made answers about the institutional and social dimensions of smart grids, much more can be said about what-we-don’t-know. We identified two main reasons why we do not know enough about smart grid transition. The structural challenge is that energy research is mainly focusing on technologies for the physical grid with little knowledge on institutional change and the social dimension of energy transition. This corresponds to the challenges identified in developing a strategic research agenda for Smart Grids Transitions of Annex 7. The European Commission in its Horizon 2020 research and innovation program tries to address this issue by encouraging SSH research to be taken up in energy research projects. An interim evaluation2 shows the low level of SSH research with the main part going to economic research. Other disciplines are hardly visible and there is a significant geographical divide between countries in taking up the possibility to integrate SSH research. There is the need to insert the social and environmental dimensions in the projects of smart grid deployment as well as in the decision making processes needed to select the most appropriate solutions. It is not enough that projects be perfect from the technical and economics point of view, they should be based on a sound social analysis and include specific actions to take into consideration the concerns, needs, and expectations of citizens and consumers. Although the political will to further increase the public energy-R&D investment in the CEM countries substantially exists, statistical evidence shows a stagnation of energy related social-science-humanities R&D investment at a very low level. a. The share of R&D from SSH in the area of energy4 in OECD countries has been fluctuating significantly over the last years. When adding up all reported country figures between 0.1% and 9% during the period of 1974 and 20155.
b. If at all, SSH-research capacities and funding in absolute terms is growing with much less speed than in engineering and natural sciences. Given the high uncertainties, how global energy transition should take place and the lack of orientation where technological development should lead to, SSH research will be needed even more urgently than in times of relative stability of the energy system. The intention of Mission Innovation, to double public clean-energy R&D investment over five years, is an encouraging signal for R&D actors and will likely lead to structural changes in the research and innovation-eco-system. However it remains to be seen, if this could also lead to a substantial rise in the knowledge about the social dimension of smart grids, without a political will to provide significant resources for SSH research as well as the appropriate R&D instruments. Significantly more inter- and transdisciplinary research activities in social sciences and humanities are needed. More attention has to be laid on generating know-how on social dimensions of technological and institutional transformation of energy systems and markets. Financial resources for SSH research need to be raised at least as much as for technological development and the respective R&D capacities and infrastructures need to be built up sustainably. Collaboration and strategic research agendas should be coordinated amongst CEM-countries. There is an urgent need for more accurate statistical data on SSH in energy research. SIRFN - Smart Grid International Research Facility Network SIRFN evaluates pre-competitive technologies and systems approaches in a wide range of Smart Grids implementation use cases and geographies using common testing procedures. Data from these tests will be made publicly available to the Smart Grids community to accelerate the development of Smart Grids technologies and systems, and enabling policies. SIRFN will give participating countries the ability to evaluate pre-competitive technologies and systems approaches in a wide range of smart grid implementation use cases and geographies using common testing procedures. Research test-bed facilities will be selected based on their complementary capabilities to conduct specialized, controlled laboratory evaluations of integrated smart grid technologies including cyber security, plug-in hybrid integration, load management, automated metering infrastructure, protection, network sensing, energy management, renewable energy integration and similar applications. In this way, research within each individual member country will derive the value of the unique capabilities and environments of the other partner nations. Data from these tests will be made available to all SIRFN participants to accelerate the development of smart grid technologies and systems, and enabling policies. Cost - Benefit Analyses and Toolkit The objective is to develop a global framework and related analyses that can identify, define, and quantify in a standardized way the benefits which can be realized from the demonstration and deployment of smart grids technologies and related practices in electricity systems. In cooperation with the IEA Secretariat and building on metrics and data identified in the Global Smart Grid Inventory and Smart Grid Case Studies Annexes, this work will analyze the benefits and costs of smart grid technologies, practices, and systems, from both top-down and bottom-up perspectives. From these analyses, toolkits will be developed to inform smart grid policy at global, regional, national, and/or sub-national levels and deployment priorities at project- and utility-scales. Results could be used to develop specific business cases, taking into account specific regulatory and market structures, as well as current system status, available generation assets and resources and demand profiles. Regulators, utilities and other electricity system stakeholders could use these toolkits to define and decide on system needs and priorities for smart grid system investment and regulatory changes. This work will include the assessment and modification of existing benefit-cost analytical tools as well as the development of new tools. The approach will likely be based on Key Performance Indicators (KPIs) and will consider also methodologies and rules to transpose the experience gained in a particular smart grids development context to other boundary conditions. The case book Spotlight on Smart and Strong Power T&D Infrastructure spotlights a number of projects sharing best practice in how to meet the challenge to develop the electricity network to become stronger and smarter using different approaches. Existing and new AC power transmission lines can carry more power by the use of smart technologies such as WAMS and Synchrophasors. HVDC lines with Voltage Source Converters can be used for interconnectors that also support the existing grid e.g. by avoiding voltage collapse. Solutions providing advances in flexibility are of utmost importance for the future power system. However, flexibility is not a unified term and is lacking a commonly accepted definition. The flexibility term is used as an umbrella covering various needs and aspects in the power system which complicates the discussion on flexibility and craves for differentiation to enhance clarity. ISGAN Annex 6 has dedicated an activity on flexibility with the intention to support an increased understanding of the flexibility concept, proposing categorisation of flexibility needs in the power system. In the discussion paper (DOI: 10.13140/RG.2.2.22580.71047), the full report is provided from this activity, including description of the flexibility categories: Flexibility for Power, Flexibility for Energy, Flexibility for Transfer Capacity, and Flexibility for Voltage. A poster including intermediate results were presented at the 8th International Conference on Integration of Renewable and Distributed Energy Resources (IRED) in Vienna in October 2018. It is with great pleasure that the Austrian Ministry of Transport, Innovation and Technology (BMVIT) invites you to the 16th Executive Committee of the International Smart Grid Action Network (ISGAN) which will take place 15-17 October 2018, in Vienna (Austria). It is with great pleasure that the Austrian Ministry of Transport, Innovation and Technology (BMVIT) invites the members of the Executive Committee and the Annex-Operating Agents to the 16th Executive Committee of the International Smart Grid Action Network (ISGAN) which will take place 15-17 October 2018, in Vienna (Austria). Following the Executive Committee meeting, you can participate in the International Conference on Integration of Renewable and Distributed Energy Resources (IRED 2018), taking place 17-19 October, as well as the new edition of the Knowledge Transfer (KTP) Workshop (October 18, afternoon – October 19, morning), which you are kindly invited to. All Members of the Executive Committee and Annex-Operating Agents are asked to register for the ExCo meeting and for a reduced registration for IRED2018 in the for below. Please note that you need to create an account first and can then choose for which events to register for. 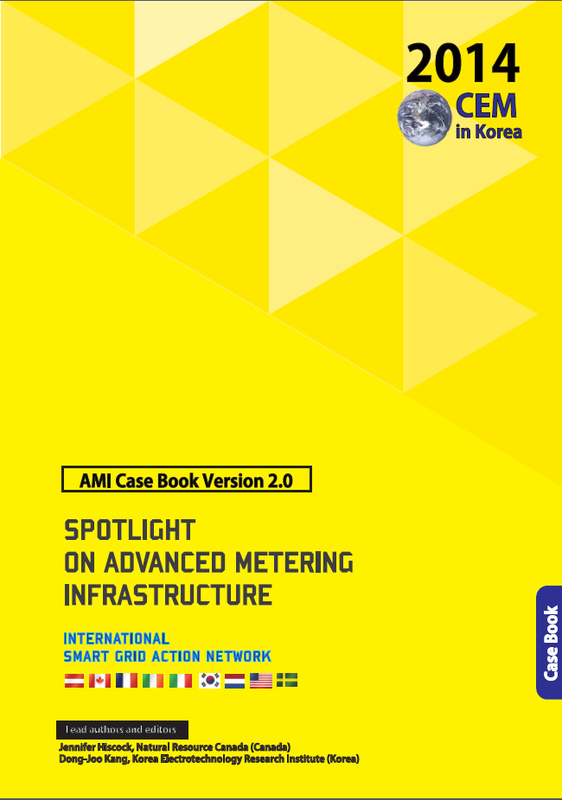 The case book Spotlight on Smart and Strong Power T&D Infrastructure highlights experiences of countries in different parts of the world, as they performed transmission and distribution projects on their electrical systems. The projects illustrate a wide range of applications, solutions, and technologies that were used to meet the challenges that various countries were facing. Many of the projects focused on the need to manage the integration of large amounts of renewable and often intermittent energy sources. Additional projects will be added progressively in future editions of the case book. The first edition of the case book was published in 2015. It includes eight cases, based on information collected during 2014 and 2015. The second edition was published in 2016 and contains an aditional five cases. Case book summaries in Spanish and English are provided for the second edition . Global Smart Grid Inventory Identify gaps, opportunities, synergies among smart grid activities and programmes. Catalogue the wide range of smart grid activities underway, mapping the actual activities against the drivers and interests. Transmission and distribution (T&D) systems are facing new challenges linked with the introduction in the generation mix of a progressively increasing share of unpredictable energy sources and variable generation from renewable energy sources (RES). Changing patterns of demand that new types of load such as electric vehicles (EV) will introduce large and unpredictable fluctuations in the power balance as well as variations in voltage can jeopardize the quality and availability of power. The T&D system has to be stronger and smarter to provide the real-time flexibility needed to efficiently handle the new conditions. Investment needs in the power T&D infrastructure are large and require long term planning and deployment. The environmental concerns and public acceptance issues that often arise when constructing additional conventional transmission lines will require more efficient solutions with lower environmental impact. This Discussion Paper from ISGAN Annex 6 Power Transmission & Distribution Systems Task 3 and 4 focuses on “Smarter & Stronger Power Transmission” and is a review of feasible technologies for enhanced transmission capacity and flexibility in terms of status and deployment. This includes both the primary AC and DC technology for the high voltage transmission grid as well as the information and communication technology (ICT) required to efficiently supervise and operate the power system. Focus is on the development of power electronics including flexible AC transmission (FACTS) and high voltage DC (HVDC), the standardization within ICT such as IEC 61850 and Common Information Model (CIM) in order to obtain vendor independent interoperability as well as the progress of wide area monitoring, protection and control (WAMPAC). The combination of smarter ICT applications together with power electronics such as FACTS and HVDC can be described as a digitalization of the power system operation offering the required flexibility. 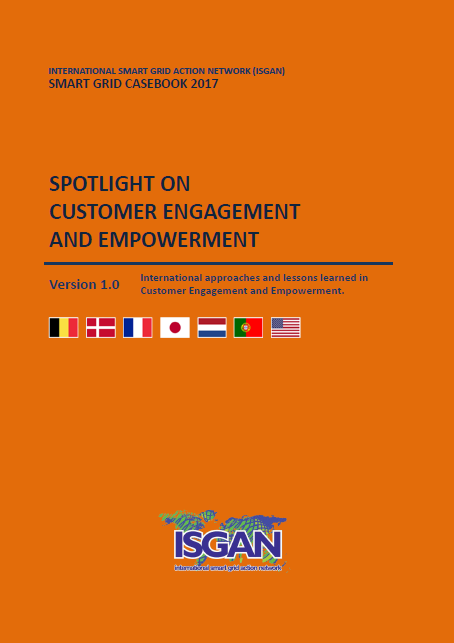 Most of the examples given are from the Nordic European power system, reflecting the participation of the authors from ISGAN Annex 6 Task 3 and 4, with additional input from North America and selected International case studies. A number of emerging trends indicate that the interaction between transmission system operators (TSO) and distribution network operators (DSO) will evolve in the coming years. Examples of these trends are the electrification of energy consumption and the increasing volume of distributed generation being connected to the distribution grid. The relationship between transmission system operators (TSO) and distribution network operators (DSO) is changing. Examples of these trends are the electrification of energy consumption and the increasing volume of distributed generation being connected to the distribution grid. In Europe this subject is highly relevant as pointed out by ENSTO-E (European Network of Transmission System Operators for Electricity) in their paper, Towards smarter grids: Developing TSO and DSO roles and interactions for the benefit of consumers published in March 2015, and ACER (Agency for the Cooperation of Energy Regulators) in their conclusions paper, Energy Regulation: A Bridge to 2025 published in September 2014. ENTSO-E is an association which represents 41 European TSOs and has an objective to promote closer cooperation across Europe’s TSOs to support the implementation of EU energy policy objectives of affordability, sustainability and security of supply. ACER is an agency of the European Union with the overall mission to complement and coordinate the work of national energy regulators at EU level, and to work towards the completion of the single EU energy market for electricity and natural gas. The expected increased interaction between TSOs and DSOs will result in both technical and non-technical challenges. For each case, country experts provided first-hand information about the status and expected development of TSO-DSO interaction in their respective countries. This resulted in an overview, by country, of the interaction between grid operators and provided input for the discussion about how this interaction could evolve in years to come. Technical aspects, as well as policy aspects, have been taken into account. The technical solutions required for a closer interaction between TSOs and DSOs are very similar for most of the identified cases, except for the case of islanding & black-start. From a high level viewpoint, grid monitoring has to be implemented, communication between TSO and DSO has to be established and means of communication between the DSO and its flexible customers have to be available. DSOs should also be able to perform (quasi) real time network simulations with input from measurements on the grid. Such technical requirements should not be underestimated regarding implementation and operational cost, complexity and skills required. These could be a challenge, especially for smaller distribution network operators. Nonetheless, only the distribution grid operator has information about the actual grid configuration and grid loading. This means that even when other entities take up certain roles, for example the role of aggregator, the distribution network operator will always be responsible for monitoring the grid and will need to implement communication solutions to one entity or another. With the current status of technology, technical requirements for an evolved interaction between TSOs and DSOs can be met. However, several non-technical issues, or points of discussion, have been identified which are closely related to the regulated environment grid operators are working in. Flexible demand and generation can be used to support grid operation and avoid infrastructure investments. A minimum use of flexibility will be necessary to avoid over investing, but the impact on the processes and business cases of flexible customers has to be limited. The flexibility available by curtailing renewable energy sources needs to be limited to avoid a high loss of renewable energy. Which grid operation challenges should be met by introducing markets and which should be managed only by technical means and appropriate bilateral contracts? It is proposed to use market mechanisms only for the balancing challenge, which is applied today in various countries. Coping with local grid operation challenges such as critical transformer loading, line loading and voltages, is proposed to be managed by the network operators, optimally interacting with each other and using flexible customers when necessary. Because of the local nature of the mentioned grid operation challenges, markets would not work efficiently. Instead, a regulatory framework is required for bilateral contracts between flexible customers and network operators, facilitating the use of flexible generation and demand for grid operation purposes. When the combined flexibility of customers on the distribution and transmission grid is used, favoring one set of customers at the cost of the other should be avoided. For example, when facing critical line loading on the transmission grid, the use of flexibility of only distribution connected customers would be undesirable. Some mechanism, probably in discussion with the regulator, should be implemented to cope with this. more regulated, with clearer and stricter roles, or more open, with guaranteed interaction between grid operators and new market players? There is no one size fits all solution but in any case, a clear definition of the roles and responsibilities of all participants in future grid operation will be necessary and will serve as a good start. A clear policy framework will, in every case, push forward investments in Smart Grid solutions to deal with the discussed challenges that grid operators are facing. The article is based on a discussion paper published by IEA ISGAN Annex 6. Upcoming webminar of the ISGAN Academy “Augmented reality applications for Smart Grids”, will take place on December 13th, 2017. Annex 8 of the International Smart Grids Action Network would like to invite you to participate in the upcoming webminar of the ISGAN Academy “Augmented reality applications for Smart Grids”, which will take place on December 13th, 2017. To find out more about the webinar and to register please see the link as below.